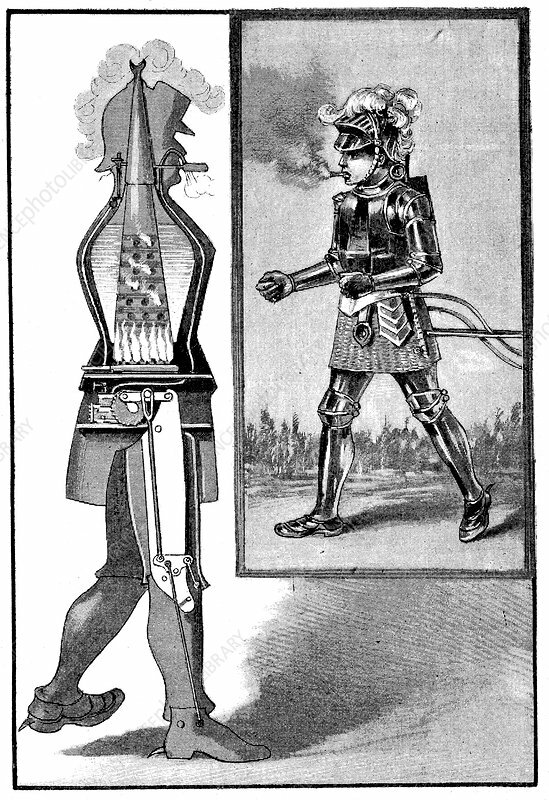 George Moore's steam man, 1893. Petrol-fired boiler operated a 1/2 hp engine. Exhaust through helmet, steam exhaust through cigar. Walking speed 7-9 mph. From La Science Illustree. Artist: George Moore.